Congrats to the SMG Philippines team for securing new work and clients! Awesome piece of news from our SMG Philippines colleagues. They have just pick up new work and business wins from Coca-Cola, Smart Telecom, Unilab and LiWayWay. Click here to read more about. Congratulations to the team! Congratulations to the SMG Singapore team for winning NEA. Look forward to great work from them. Beat the mozzies! 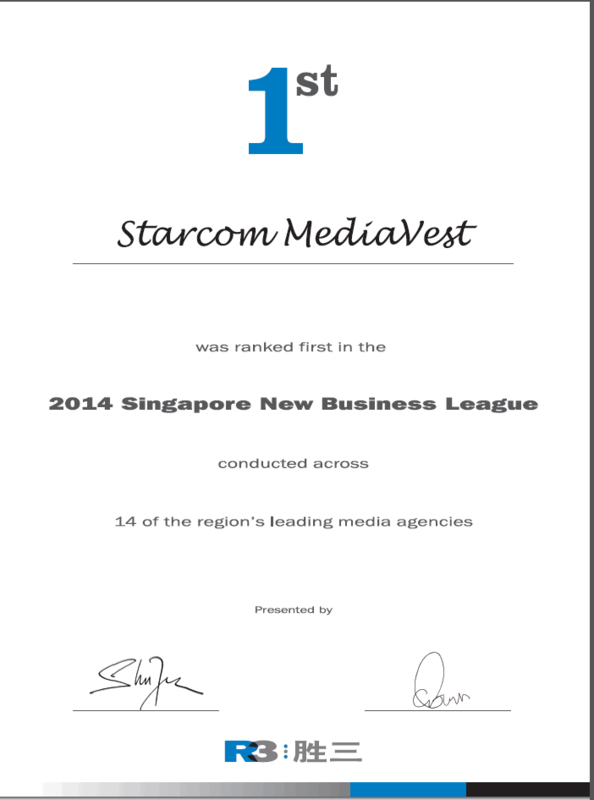 Starcom MediaVest Group (SMG) has won AIA’s media business in Singapore. SMG’s scope of work includes media planning, performance marketing and content solutions. 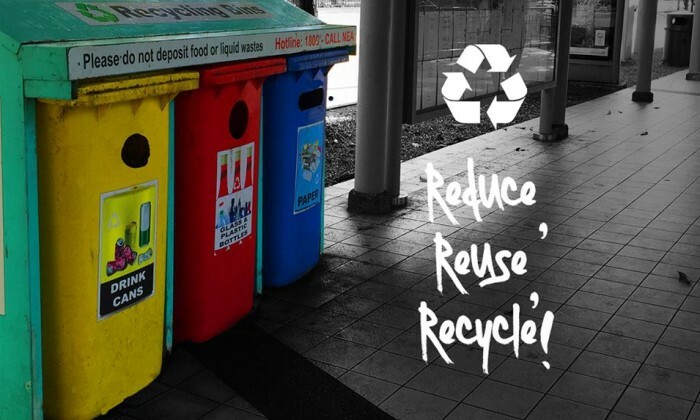 SMG’s win follows the recent campaign SMG’s Malaysia office created for AIA called ‘Letters for the Future’. A campaign which encouraged reserved Malaysians to express their heartfelt sentiments by writing letters to their children. SMG Malaysia then packaged and delivered the letter in a time capsule, which preserved the letter for future generations. The campaign was short-listed at the Festival of Media Asia. “Starcom’s work with the AIA Group and AIA in Malaysia has been a big plus point in winning the business as we look to align our media strategy. Another reason is the strong and responsive account servicing team that AIA Singapore will be working with when we handpicked Starcom MediaVest Group,” said AIA Singapore. “The insurance category is an interesting one with an audience segment that is wide. Having a deep understanding of that audience is important to building AIA’s story in connecting with the consumer. I am happy that AIA recognized our strengths, capabilities and thinking as we embark on a journey and do great work together,” said Patricia Goh, Managing Director Starcom MediaVest Group Singapore. AIA provides insurance for individuals and businesses. The business that is now AIA was first established in Shanghai over 90 years. It is a market leader in the Asia Pacific region (ex Japan) based on life insurance premiums. AIA is part of the AIA Group. Ricola, the manufacturer of cough drops and breath mints in Switzerland, has appointed Starcom MediaVest Group to manage its media strategy and business. 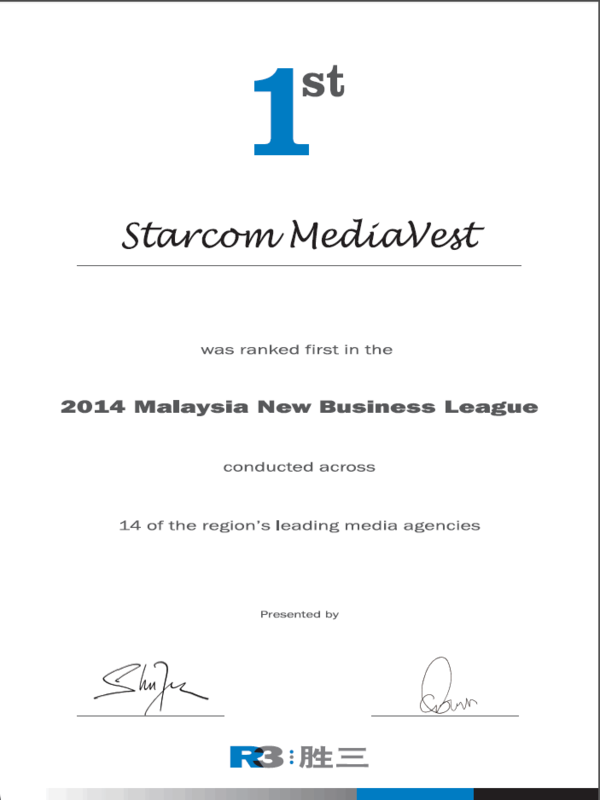 Starcom MediaVest Group’s remit covers media planning, digital and content solutions. A pitch was held and three agencies were shortlisted. Maxus was the incumbent agency on the account. “Team SMG has demonstrated strong commitment, enthusiasm and an overall good understanding of the Ricola business and challenges. We are also impressed with some of the ideas put forward by the Starcom team to build Ricola’s branding,” said Celeste Ong, Country Manager, Southeast Asia Ricola Asia Pacific. Ricola provides soothing relief to millions of consumers through its unique herbal formula that are both natural and great tasting. It exports its herb specialties to more than 50 countries in Europe, Asia, America and the Middle East. Great news to end the week. 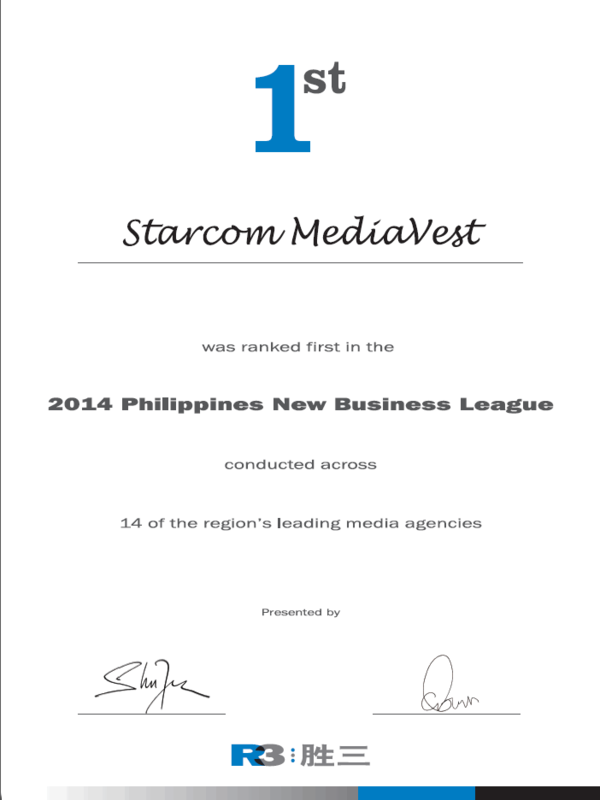 In R3’s 2014 Asia Pacific New Business League, SMG is the #1 agency in Singapore, Philippines and Malaysia. R3 tracked over 4,500 wins across the region. Thanks to people like you for sharing the wins, and helping us make something so useful. Congrats to all of you for making wins in pitches and retaining businesses.